Fifteen-year-old Izzy Brannick was trained to fight monsters. For centuries, her family has hunted magical creatures. But when Izzy's older sister vanishes without a trace while on a job, Izzy's mom decides they need to take a break. Izzy and her mom move to a new town, but they soon discover it's not as normal as it appears. A series of hauntings has been plaguing the local high school, and Izzy is determined to prove her worth and investigate. But assuming the guise of an average teenager is easier said than done. For a tough girl who's always been on her own, it's strange to suddenly make friends and maybe even have a crush. 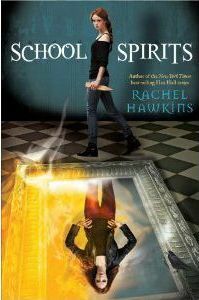 This zippy fun read begins a new magical series about the tough Brannick women, a spin-off of Hawkins' popular Hex Hall series. Featuring Isolde, they go around fighting monsters. Izzy and her mother move to a new town to deal with a haunting at a local high school. Izzy is going to prove herself worthy by blending in with the local students and finding this ghost herself. She makes friends, develops a crush on Dex, and deals with Torin, the warlock who has been trapped in the family mirror for centuries. This is a good story filled with magic, excitement, a little romance and danger, and teen issues. The author adds humor to the dialogue, and most situations are realistic and believable. It reads quickly and easily and offers older reluctant readers some fun. Readers will definitely be awaiting the next Brannick adventure. Melinda W. Miller, K-12 Library Media Specialist, Colton-Pierrepont Central School, Colton, New York Recommended Library Media Connection"